I’m not running out of ideas, but I am running out of time! Only a week until I hand in the final stage of my MSc project (which is to create a website for myself), so I need to spend a lot of time programming, and not much time polymerClaying. Plus I’m going away this weekend, so will just have to take beads with me rather than making fresh ones. 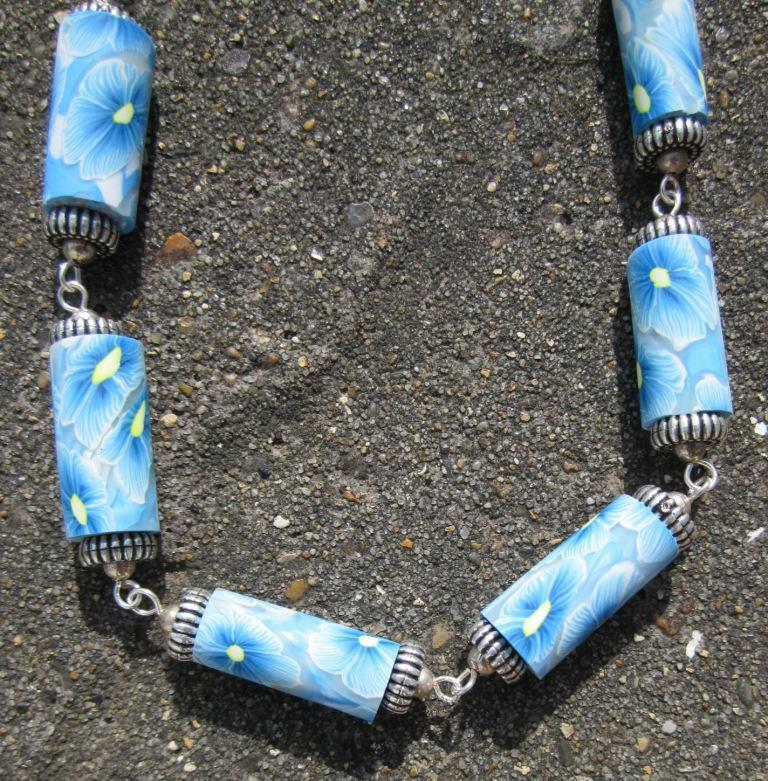 It does always feel like a bit of a cheat using beads that I’ve previously made, but for me a major part of this necklace project is to try different ways of presenting polymer clay beads, and to experiment with chain, wire, string, and cord.